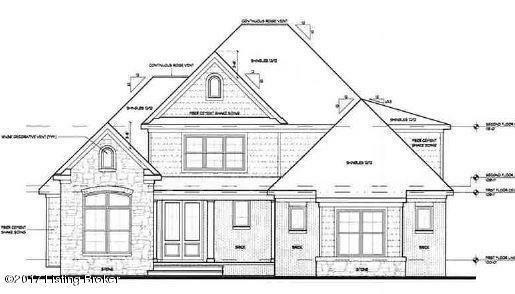 Proposed build in the highly anticipated Reserve of Fox Run with 4 bedrooms, 3.5 baths and OVER 3,000 square feet of living in Oldham County. Luxury finished throughout. Kitchen offers custom cabinets, large pantry, center island adjacent is the breakfast area and great room with fireplace. First floor study is an added bonus. The owners suite features a spa inspired bath with large tiled shower, soaking tub, separate vanities and large walk-in closet with laundry access. Mudroom and laundry are located off the courtyard garage. Two additional bedrooms with a Jack and Jill bath and a bedroom with in suite bath finish the upper level. The unfinished lower level with 9ft ceilings is perfect for future living with a rec room, office and full bath. Act now to customize to fit your needs.